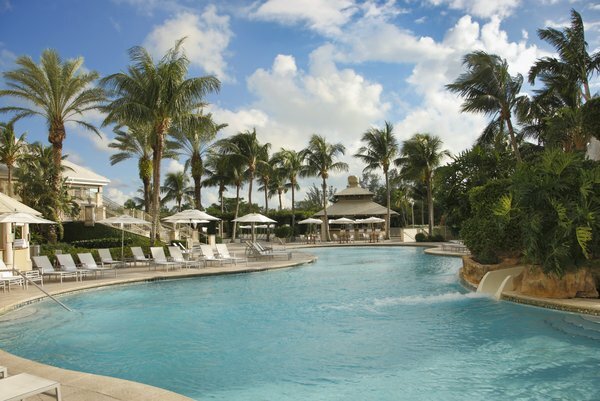 The Waldorf Astoria Naples keeps scoring points as one of the best resorts in Southwest Florida. The premier Southwest Florida resort received Travelocity’s Excellence Award, which recognizes the top 500 of the travel site’s partners across North America, Mexico and Caribbean. Photo: courtesy Waldorf Astoria Naples. The Waldorf Astoria Naples has an array of daily tennis clinics, private lessons and overall family tennis fun under the direction of Peter Burwash International that helped the resort recently earn a ranking of No. 13 best tennis resort in the world from www.tennisresortsonline.com.Guests and members can enjoy the resort’s summer tennis program, which runs through September 30. The program features 15 Har-Tru courts, including five lighted, as well as a pro shop featuring Wilson tennis gear and accessories. The Best of Waldorf Astoria package is available for booking now for travel through September 30. To make a resort reservation, call 888-722-1267 or visit www.waldorfastorianaples.com. For more information on Waldorf Astoria Hotels & Resorts, visit Facebook at www.facebook.com/WaldorfAstoria or online at www.WaldorfAstoria.com. For more information on the Waldorf Astoria Naples tennis program, please contact Adri Atkinson, Director of Tennis at 239-594-6033 or email [email protected]waldorfastoria.com. i’m not a huge fan of tennis but this hotel looks amazing!